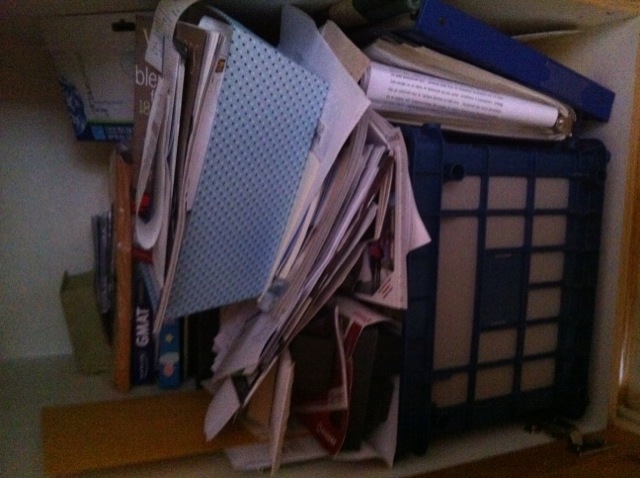 …into a proper filing cupboard. Man, this house has a lot of cluttered cupboards. How I ever find things I’ll never know. Update on previous resolutions: unplugging things has not been going well. I’m going to start fresh for the next 30 days to see what kind of difference is made on the bill. Fingers crossed it makes a big difference…proceeds from the savings on the ol’ hydro bill go to getting Ezmy some new tights for the winter (don’t shudder – winter is coming whether you like it or not folks). ← update: go science success!